The 2018 House & Garden Tour took place on Saturday, April 21st, 2018. Jack Conway grew up in Mount Pleasant and met his future wife, Megan Stohner, while still in high school. They have lived at 2002 Klingle since October 2012 and are now raising their two young kids there. They purchased the home because of their love of its original 1923 historical details, knowing that they would need to update some of its features, such as the floral laminate kitchen flooring and 1950's cabinetry. In 2016, they redesigned the home, to make it more functional for their family, undergoing a major renovation that included the kitchen, bathrooms, attic and back yard. They love Mount Pleasant's proximity to the zoo and Rock Creek Park, taking full advantage of the trails in their "urban backyard." 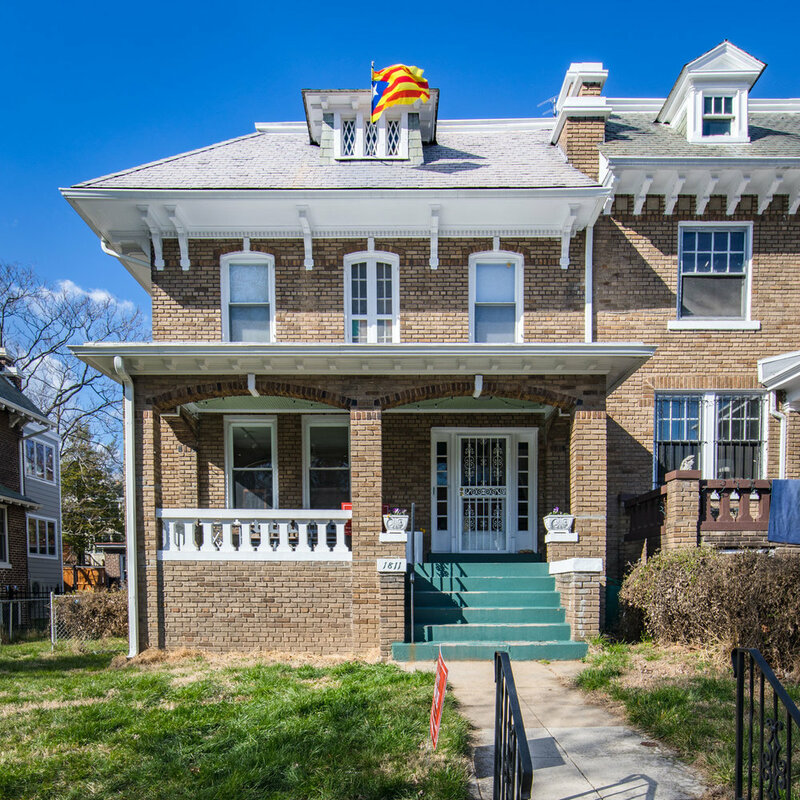 Louise Meyer grew up in Dc and has lived in her Mount Pleasant home for 30 years. During that time, modifications were made to the home to make it more comfortable and to suit the needs of the family, including enlarging the kitchen and back porch, the conversion of the 2nd floor "sleeping porch" into a home office and a restoration of the front porch, which garnered an award from Historic Mount Pleasant. Louise works internationally promoting safe solar-thermal cook-stoves and has been a local pioneer in solar, installing a PV system, which covers 40% of her electrical needs. She enjoys her environmentally active neighbors and has helped to create a stronger sense of community in the neighborhood, most recently with her involvement in the Mount Pleasant Village, a part of the national 'aging in place' movement. Claudia has lived in Mount Pleasant for 40 years and with her husband in their current home for the past 21. Both of her children went to Bancroft Elementary School 20+ years ago and they are credited with starting the Bancroft Holiday Tree Sale, which still today continues to generate a substantial portion of the PTO's annual budget. Their home was built around 1900 by the Murray brothers, who wanted it to look like one home housing two families. They were contractors and plaster artisans and each room on the first floor showcases different plaster moldings (now covered in many years of paint). The two homes even shared a phone and the phone closet is still visible! Claudia and Wayne have spent hours restoring woodwork throughout the first floor, which features three pocket doors, two decorative fireplaces, heart pine floors and walnut moldings. They've upgraded and renovated the kitchen and all bathrooms, while diligently trying to maintain the original feel of this lovely old home. Sharon and Tom Conway moved to 1833 Park Road in 1977, renovated the dilapidated rooming house, and raised their two children here. Their son's family currently resides in Mount Pleasant, with a daughter who attends Bancroft. 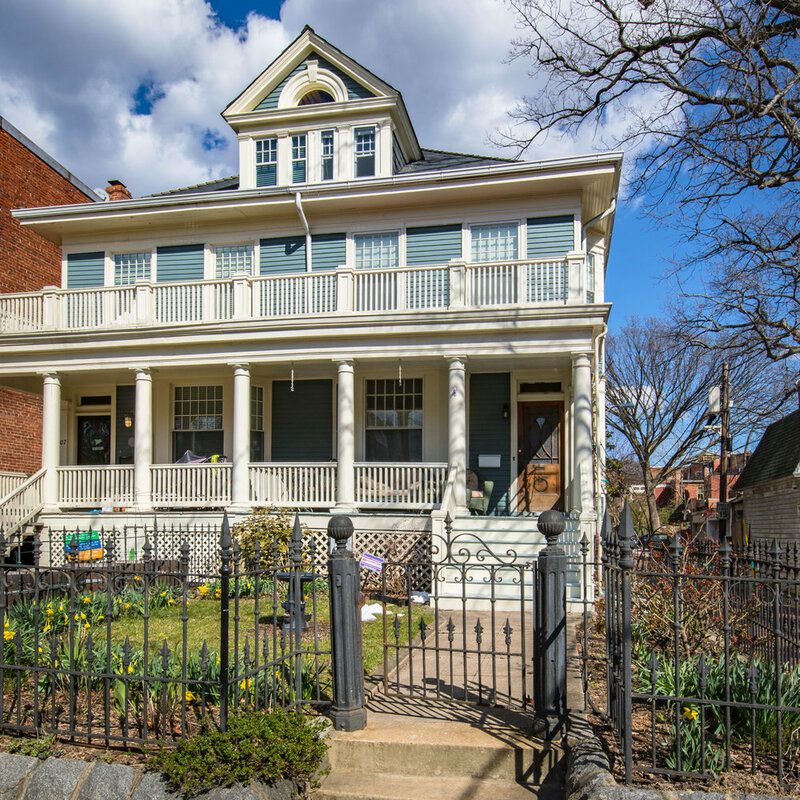 Built in 1911 by prominent and prolific D. C. architect Appleton P. Clark, this 5,000 square foot home retains many of its original Arts & Craft elements. A large kitchen and porch addition was completed in 2011. The property is listed on the National Register of Historic Places, along with other houses on the north side of the 1800 block of Park. The ground floor and garden are open for the tour. Mount Pleasant residents for ten years, Kelly Willis and Jason Venner have called this house their home for the past two years. 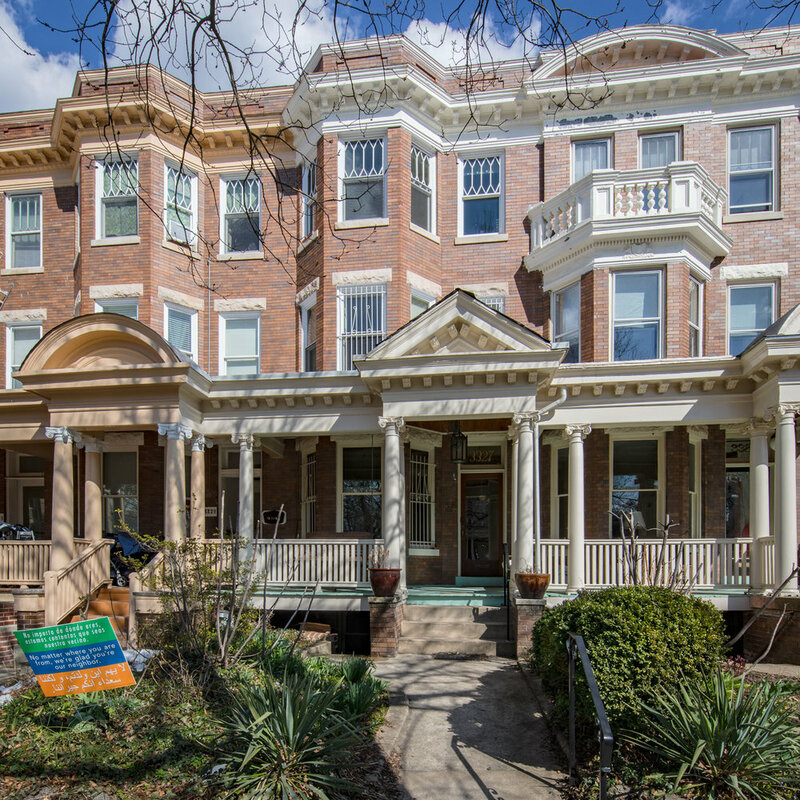 "Like so many of our friends and neighbors, we were drawn to Mount Pleasant by the rare combination of its residential tranquility and commercial conveniences, its unique brand of community and cultural diversity, and its proximity to the rest of this beautiful city." The owners moved from a much smaller house a few blocks to the west, so furnishing four stories and roof deck have been a significant undertaking, and they consider it very much a work in process. 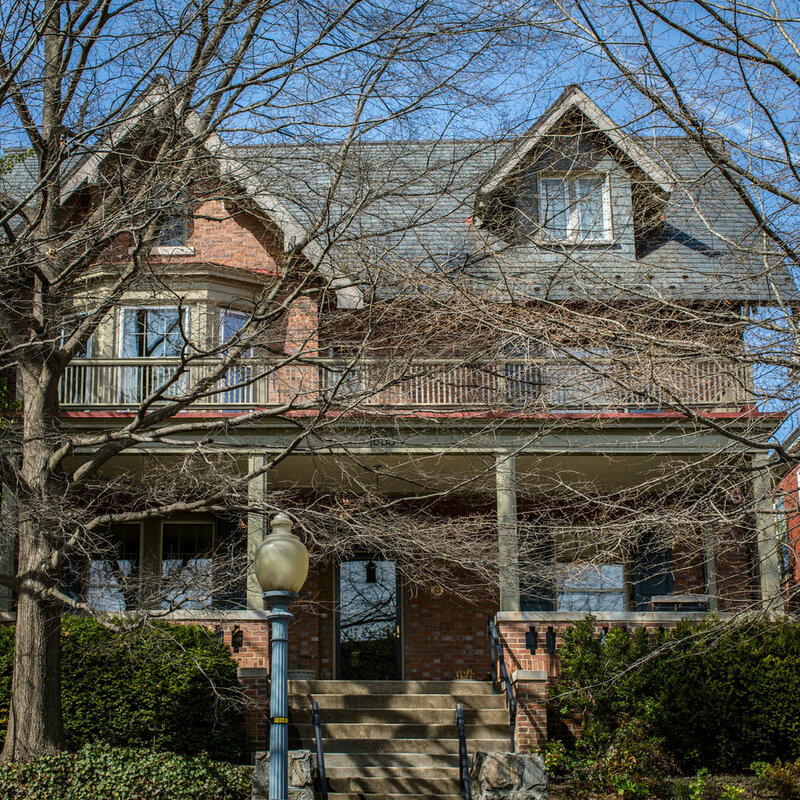 The house has been largely preserved to its original 1909 construction, and the owners have elected to forego any modernizing renovation, instead embracing its historical footprint and features, leaving the dark wood frames and wainscoting and its "arts and crafts" angles and shapes. The only structural changes planned are an expansion of the kitchen and renovation of the back garden. Hal and Dana bought their first home in Mount Pleasant in October, 2015 and soon began working with Erik Hoffland, of Hoffland Architects, to update the original floor plan, creating a more light-filled and modern living space that still maintains the original character of the house. Together, with Impact Construction, they rebuilt the main floor, creating a more natural flow from the front to the back, opening up the kitchen, and installing a folding glass door to allow for a seamless transition to a new screened porch and back yard garden. They also reconfigured the basement as a family room with a guest suite, added a master bath, and updated the enclosed sleeping porch to make one larger room in the back of the house. They moved into their home in July, 2016 with a 4-week-old in tow, and have enjoyed the neighborhood's feeling of a community in the midst of the city, with everything they need in walking distance. The owners of 1811 Irving have lived in Mt P since 1993 and in this home since December 2013, following a seven month renovation. The house was originally designed by Alexander Sonneman and built in 1914 by the Kennedy Brothers. During the course of the renovation, more than 14 tons of bricks were removed, helping to make way for an open-plan kitchen and dining area, as well as the restoration of the original floors, new skylight and increased electrical capacity. The basement and attic remain unfinished, but the owners have their sights on grooming the exterior spaces, completing a rear deck and adding central A/C. Stop in Irving Wine & Spirits during the tour for tastings from acclaimed local spirit maker, Don Ciccio & Figli, as well as a selection of wine offerings. Irving Wine & Spirits will be donating a portion of the proceeds from any tasting-related sales to the Bancroft PTO. Mount Pleasant residents since 1986, Katie Tyler serves on the Board of the Mount Pleasant Village, and her husband, Tim, is on the Board of Historic Mount Pleasant.